The Open Forum is your domain for anything and everything. Whatever you feel is inappropriate to discuss in other threads, you can discuss here. Want to talk about Pizza? You’re in the right place. Have a random question? Ask it here. Want to poll the community? Do it here. The Open Forum is what you make it. 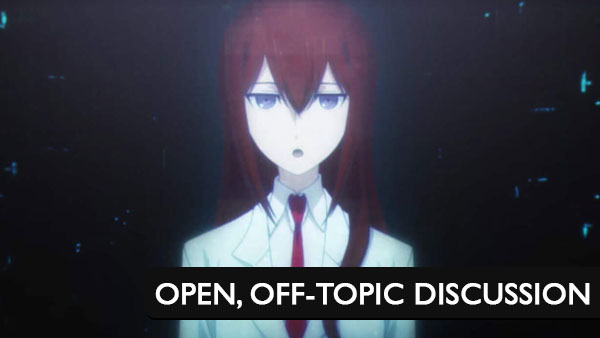 But note, while this is the place for open and off-topic discussion, the usual community guidelines still apply. Along with these guidelines, the Open Forum has some guidelines to follow as well. No posts or pictures about GamerGate/Feminism. We hate to limit conversation, but these types of comments do not generate the type of discussion our community is comfortable with. The staff requests you keep these discussions off-site. There are plenty of other places to talk about it.